Shibui launched their Fall Winter 2015 Collection Today and it is Grand! We have the 1st Trunk Show of 10 garments and all the yarn is on the shelves! 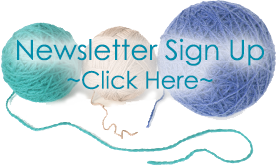 Receive 15% Off your in-stock Shibui purchase. 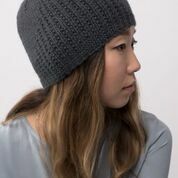 The Designs are cutting edge, yet comfortable to knit and wear! Facade Textural segments provide dimension while the combination of Maai and Staccato lends structure and soft drape. Comfort meets modern in this unisex scarf. Exquisite stitches steadily rise across Spire. Maai and Staccato blend with tasteful ease, providing comfort and warmth. Truss is my favorite. 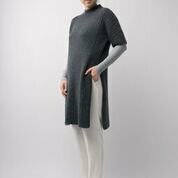 The pattern has both short and long versions Maai and Pebble converge with ease, providing depth to this soft, structured silhouette. Featuring high side vents, ribbing and a low funnel neck, Truss is an every day versatile tunic. SySymmetrical ribbing in Cima and Pebble defines the shape, while Baby Alpaca lends the body softness and ease. Unexpected vent details balance and add a fresh touch to Trace. Baby Alpaca is held single on the main body, Cima and Pebble are held together for the ribbing. Cornice The halo of Silk Cloud glows while Dune lends substance for comfort and drape. This elegant pullover features a wide, ribbed collar and matching hems. Inscribe Broken-rib stitches contrast with smooth stockinette in this deep, v-neck pullover. Maai and Staccato create the ideal combination, weight, and warmth for effortless wear. Emboss features Maai held double for additional loft, while texture extends across its modern shape for a tasteful effect. Wear open or closed, this innovative coat is the essence of warmth. The nearly weightless drape of Silk Cloud shines in the body of Volute. Its voluminous shape is grounded with sleeves in Cima for dramatic contrast. Two fabric options are given for the main body, Silk Cloud or Pebble. Watch for our next update tonight!